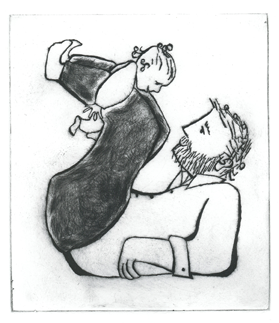 For my own personal work I love dry-point printmaking. All of the original pieces of work shown here have been sold or were commissioned. I only produce two of each image: an artist's proof (AP) for myself and one other. However I am happy to sell any of these images as open edition giclee prints. Email me at hannah@owlingabout.co.uk if you are interested.